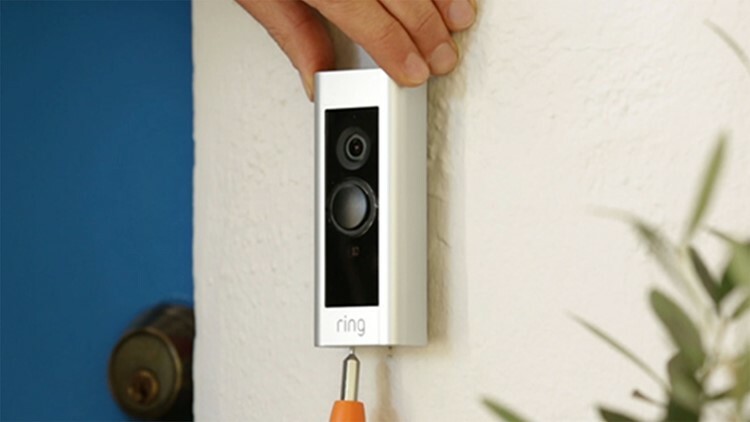 The Ring Video Doorbell Pro will deliver alerts when someone walks by or approaches your door. Just in time for the holidays and all those package deliveries, one of my favorite deals from Amazon can help protect your family from thieves! The Ring Video Doorbell Pro is one of my favorite simple smart home essentials. It allows you to answer your door or greet someone from anywhere in the world while also serving as an outdoor motion sensor alarm. The bundle that I found today includes the newly upgraded and just released Echo Dot that works as the ultimate companion for this product and as a top way to automate your home with Alexa. The Ring Video Doorbell Pro will deliver alerts when someone walks by or approaches your door. With night vision, you can monitor your property in HD and check in on your doors or entry ways at any time, giving you greater security. You can finally see when your kids actually get home from school, which dog may have visited your lawn with the owner who didn't care or even discover a neighborhood package thief (as I did with my video doorbell). Being able to add the Amazon Alexa Voice service to any room of your home for free is yet another perk tied to the price drop.